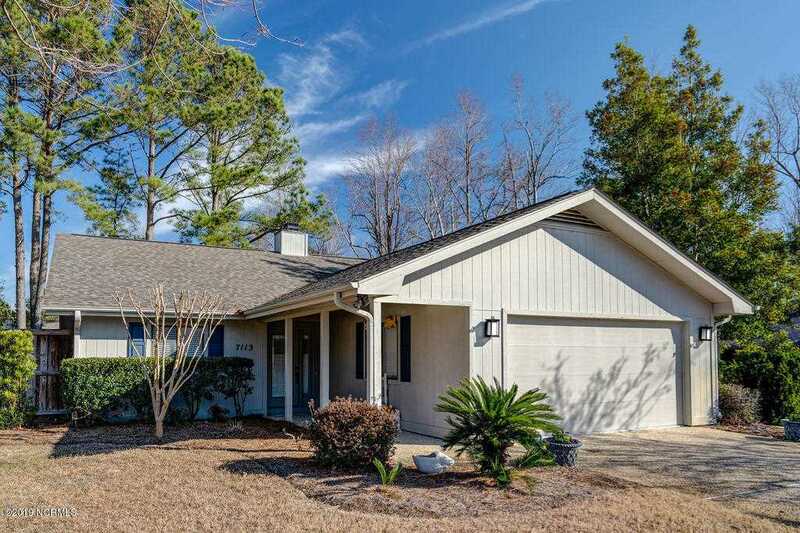 7113 Key Point Drive is perfectly located and well maintained. This home includes all new flooring, remodeled master bathroom, and second bathroom, and a new roof replaced in 2015. This home is move in ready and will go fast! The open floor plan boasts volume/vaulted ceiling, making this a definite eye catcher. When you walk into the kitchen you will immediately spacious floor plan, stainless steel appliances, abundance of cabinets and counter space, and to top it off, a wine cooler. The living room boasts a marvelous wood burning fireplace, perfect for these cold winter nights. The split bedroom plan gives the master bedroom a little extra privacy. The master also features a large walk-in closet and a fantastic bathroom! When walking out onto the patio you will immediately notice the maintained/landscaped yard, perfect for sipping your morning coffee! Priced to sell, this home won't be on the market for long! SchoolsClick map icons below to view information for schools near 7113 Key Pointe Drive Wilmington, NC 28405.